The Chief Minister was invited to attend the sainthood function at Vatican on September 4 by Sister Prema, superior general of the Missionaries. Banerjee said, “I am excited to be a part of the event in Rome. I don’t need a first row seat. I will not go there as a part of State delegation but will be a member of Missionaries of Charity. I will sit with them and witness the moment when Mother will be announced as Saint”. Remembering her moments with Mother Teresa, Banerjee said, “I feel lucky and fortunate for having met Mother on several occasions. I specially remember two of my encounters with her. Missionary of Charity had an institution in Mathpukur area in Kolkata. Some hooligans were using their power to encroach the institute. I got a call at 11pm at night, it was Mother on the line saying, Mamata can you come. I went sat there with my people for whole night. We were successful to save the institute. It was like a big victory for me as Mother was happy,” she said. “Preparations have already begun in Mother Teresa’s adopted hometown of Kolkata for this great day,” said Archbishop Thomas D’Souza. “We will be watching the event in Vatican City on TV and will cherish each moment. Mother reached out to everybody, she belongs to whole world. Declaring her a saint would actually send an appeal to maintain her message to unite the Humanity”, Assistant General of Missionaries of Charity sister Lysa told The Indian Express. Since Pope France announced September 4 as the date for canonisation. A flurry of activities that have started in Kolkata to commemorate the day. A symposium on Mother which was reportedly very well received by everyone. A quiz session on Mother Teresa is being conducted in different school as a part of the celebrations. On Friday apart from a Mother Teresa statue being unveiled, a film festival was also inaugurated in the city. Around 24 films on Mother Teresa will be screened during the festival. It is being held at the Calcutta state government-run Nandan multiplex, a film and cultural center in Calcutta. The August 26-29 festival inaugurated with the American documentary “Mother Teresa.” On 4th of September there will be mass honor of Mother since by then she will be canonised. By the end of the month on September 29 an Art exhibition on Mother Teresa will be inaugurated by Honorable Governor of West Bengal Shri Keshri Nath Tripathy . This exhibition at St. Xavier’s College will continue till October 5. On October 2 a Holy mass and civic programme will be conducted in Netaji Indoor Stadium which will be attended by country’s Vice President Mohammad Hamid Ansari. “Mother Teresa was widely known as a living saint as she ministered to the sick and the dying in some of the poorest neighborhoods in the world,” said Rozia Printo, a Journalist who had come all the way to Kolkata to feel the moment. Masses, prayer vigils, exhibitions and even a musical event will be some of the many events taking place in Kolkata to celebrate the canonisation of Blessed Mother Teresa on September 4. 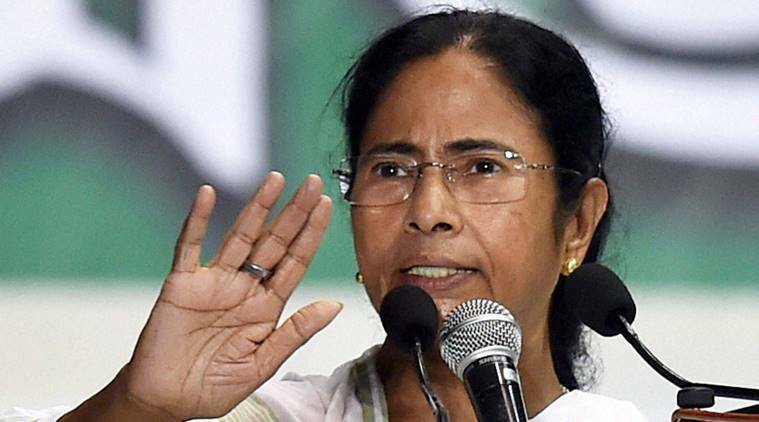 A state delegation under the leadership of Chief Minister Mamata Banerjee will be a part of the celebration in Rome. There are many young people who are funding their own travel to Rome to participate in the ceremony and exhibit the photographs in open-air galleries. This is our tribute to Mother,” said Srijonika Burman , a college student who had come to see mother’s statue at Park Street.